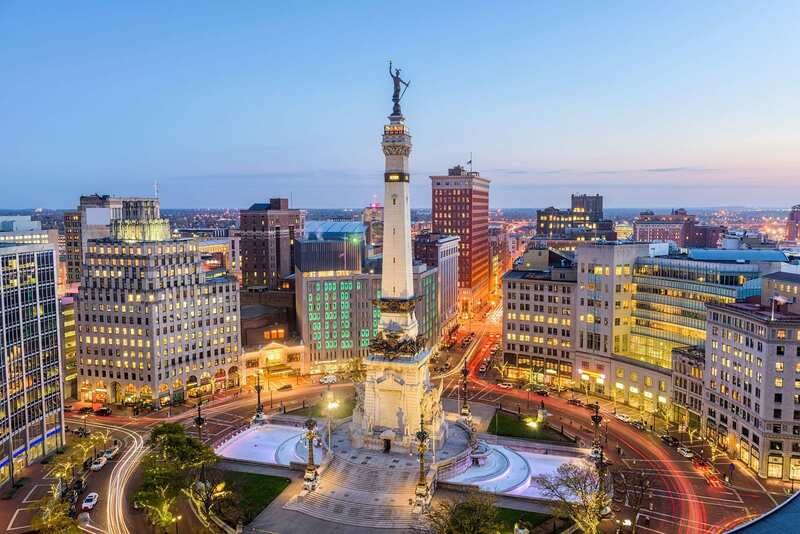 Indianapolis is one of the hottest cities in the Midwest real estate market, and we’re going to tell you why. Considered to be a cash flow market with investment property gems, the Indianapolis real estate market is where you want to invest in this year. Any experienced real estate investor will tell you over and over again the importance of location in this business. The success that comes with buying a rental property depends on multiple factors- which ultimately all lead back to the location. The market you invest in will determine the rental demand, rental expenses, rental income and more; all need to be considered for establishing a high return on investment. So if you’re planning on buying an income property in 2019, conduct your research and find out where to invest in real estate for high returns first. We’ll help you out and point you in the right direction for maximum profit– the Indianapolis real estate market. Let’s take a look at why that is. Before investing in any market, you need to know what you’re up against. Determining whether it’s a seller’s market or a buyer’s market will give you an idea of how much leverage you have in striking a deal. The price of property on the market and the volume of property on the market (inventory) will help investors determine how hot any market is. According to Zillow, the Indianapolis housing market 2019 has cooled down to a buyer’s market. This is always a strong motivator for real estate investors because it means they have the upper hand in negotiations. The absolute best place to invest in real estate and rent out properties is a market with high rental demand. Good news for anyone owning rental properties in the Indianapolis real estate market- nearly half of the population rents. Indianapolis is the 15th largest city in the US and is only going to continue to grow. Factor in the Indianapolis population size and you’re looking at a pool of approximately 395,000 potential renters. High rental demand has helped push rental rates up making an Indianapolis real estate investment a profitable opportunity. The Indianapolis real estate market actually has the fourth highest occupancy rate out of the top twenty single-family rental markets. Occupancy rates are also an important factor that can make or break your profit. If your rental properties are vacant, you’re not going to generate any rental income, therefore losing your cash flow. Indianapolis investment properties have a 95.6 percent occupancy rate (for single-family homes). You want to invest your money in markets that have value. Not just today, but in the long-run. The Indianapolis real estate market is full of investment opportunities like that. The median home value in Indianapolis is $139,200. This figure has gone up 14.4 percent over the past year and is predicted to increase another 2.5 percent within the next year. With the overwhelming amount of Airbnb rentals popping up throughout the country, many cities have made efforts to ban short term rental listings on platforms such as Airbnb and VRBO. So is Airbnb legal in Indianapolis? The state of Indiana does not fall in line with the Airbnb critics. A bill to protect private property rights and boost Indiana’s tourism economy was passed mid-2018. Indianapolis has always been known to be a landlord-friendly city, but does that welcoming atmosphere also apply to Airbnb hosts? If signed into law by Governor Holcomb, this bill would be great for Airbnb investors. The private property rights of short term rental owners and hosts would be protected under Indiana law. Municipalities would also be prohibited from any outright bans of short-term rentals or home sharing. Related: Is Airbnb a Good Investment Considering All of the Regulations? 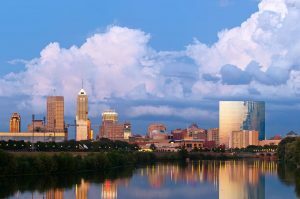 Now all of this is great, but it’s time we get down to some serious numbers regarding Indianapolis real estate investing. So the city-wide data for the Indianapolis real estate market is looking pretty strong. There’s a sustainable income for both rental strategies and good cash on cash return rates. If you were expecting something a little bit higher, don’t shy away just yet. Keep in mind these are city-level numbers and that you can definitely find investment properties in higher performing neighborhoods. We have just that coming up. In addition to the data above, Mashvisor’s calculator also has the same figures and stats for neighborhoods in the Indianapolis real estate market. Certain areas perform better with Airbnb rentals (short term) and others with traditional rentals (long term); so we’re going to list the top-performing neighborhoods for each strategy. If you’re liking these numbers, sign up for a free account with Mashvisor to use our Property Finder Tool. You can fine-tune the search results based on your criteria to find the perfect investment property in the Indianapolis real estate market. 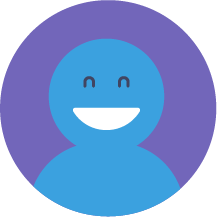 To learn about your options for signing up for our services, click here. Should You Go for Austin Real Estate Investing Now? Should You Go for Chicago Real Estate Investing? : How Can I Find Cheap Houses for Sale Near Me for Real Estate Investing?